North Korea has been working through 2016 on developing components for an intercontinental ballistic missile (ICBM), making the isolated nation’s claim that it was close to a test-launch plausible, international weapons experts said on Monday. North Korea has been testing rocket engines and heat-shields for an ICBM while developing the technology to guide a missile after re-entry into the atmosphere following a lift-off, the experts said. While Pyongyang is close to a test, it is likely to take some years to perfect the weapon, reports Reuters. North Korea’s state media regularly threatens the United States with a nuclear strike, but before 2016 Pyongyang had been assumed to be a long way from being capable of doing so. “The bottom line is Pyongyang is much further along in their missile development than most people realize,” said Melissa Hanham, a senior research associate at the U.S.-based Middlebury Institute of International Studies at Monterey, California. She said the North’s test in April of a large liquid-fuel engine that could propel an ICBM was a major development. “The liquid engine test was astounding,” Hanham said. “For years, we knew that North Korea had a Soviet R-27 missile engine design. They re-engineered the design of that engine to double its propulsion”. North Korea has said it is capable of mounting a nuclear warhead on a ballistic missile but it claims to be able to miniaturize a nuclear device have never been independently verified. The isolated nation has achieved this progress despite U.N. Security Council imposed sanctions for its nuclear tests and long-range rocket launches dating back to 2006. The sanctions ban arms trade and money flows that can fund the country’s arms program. North Korea has enough uranium for six bombs a year and much of what it needs for its nuclear and missile programs relies on Soviet-era design and technology. Labor is virtually free. It can produce much of its missile parts domestically and invested heavily in its missile development infrastructure last year, funded by small arms sales and by taxing wealthy traders in its unofficial market economy. 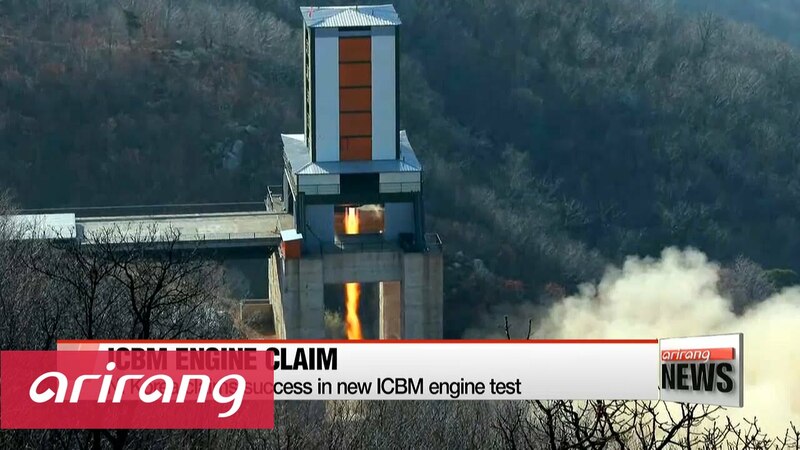 Throughout the year, North Korean state media showed images of numerous missile component tests, some of which revealed close-up details of engines and heat shields designed to protect a rocket upon re-entry into the earth’s atmosphere. The propaganda offensive may have revealed some military secrets, but it may have also been a bid to silence outside analysts, many of whom had remained skeptical of the North’s missile program. “They’re answering the public criticisms of U.S. experts,” said Joshua Pollack, editor of the U.S.-based Non proliferation Review. “A lot of people had questioned whether they had a working ICBM-class heat shield”. Despite the research, Pyongyang has experienced considerable difficulties getting its intermediate-range Musudan missile, designed to fly about 3,000 km (1,860 miles), off the ground. It succeeded just once in eight attempted launches last year.